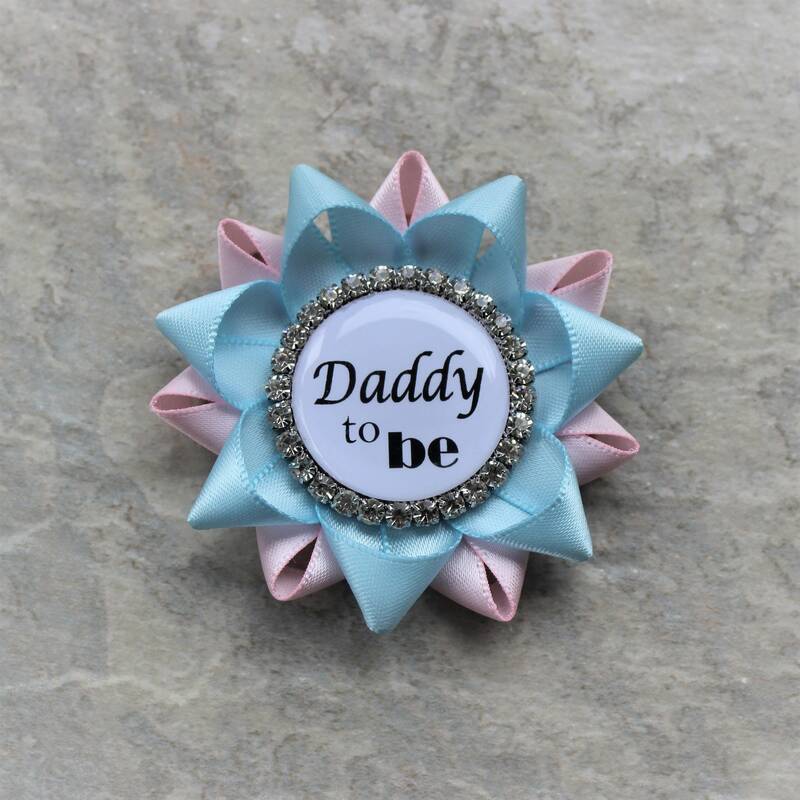 This Daddy to be pin is handmade from Pale Pink and Light Blue ribbon. 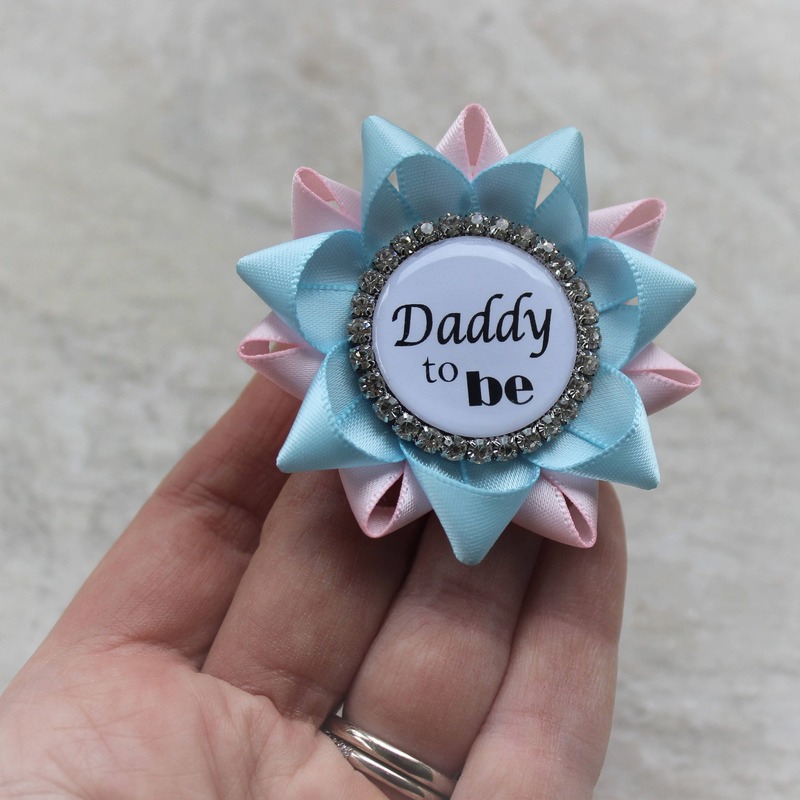 It is 2" wide with a pin backing and is packaged in a gift box with bow. You may choose up to 2 colors per pin. 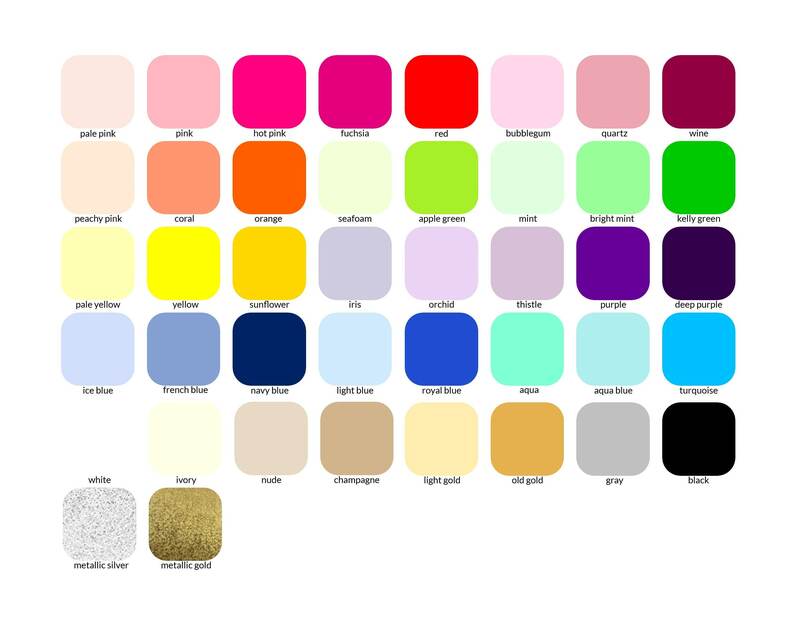 Please see the color chart and leave a note during checkout with your choices. Choose the wording for your guests of honor in the drop down menu. If the name you would like is not on the list, please choose "CUSTOM REQUEST" and leave a note during checkout with the exact name or phrase you would like.